Do you have Oscar Fever? Probably not if you're reading brainwashed.com, but once again Hollywood has managed to engage in their yearly ritual of televised autofellatio. Here we present to you our picks of soundtracks that have, as far as we know, have gone unrecognized in internationally broadcast award ceremonies. 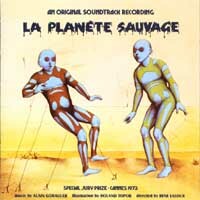 Alain Goraguer, "La Planète Sauvage"
Known in English-speaking countries as 'Fantastic Planet,' the sountrack from this highly acclaimed cult-classic cartoon film from 1973 is finally available. For any fan of the film, this is a -must have- as the music is spectacularly anthemic and seemingly timeless. As I was browsing aorund the Twisted Village here in Cambridge, I saw the recently arrive disc sitting on the counter, priced up and ready to hit the shelves. My jaw dropped and I had to walk away with it. Minutes later in Other Music, the crew found it fit for in-store play and I was in heaven. The One Ensemble and Sarah Kenchington, "Dummy Jim"
I haven’t seen Dummy Jim yet, but if this soundtrack is any indication, it must be a truly unconventional and memorable film. With the aid of bizarre instrument builder Sarah Kenchington, Daniel Padden and his cohorts have created a kaleidoscopic collision of traditional Anglo-folk, free jazz, drone, and deep-seated eccentricity that sounds like absolutely no one else. 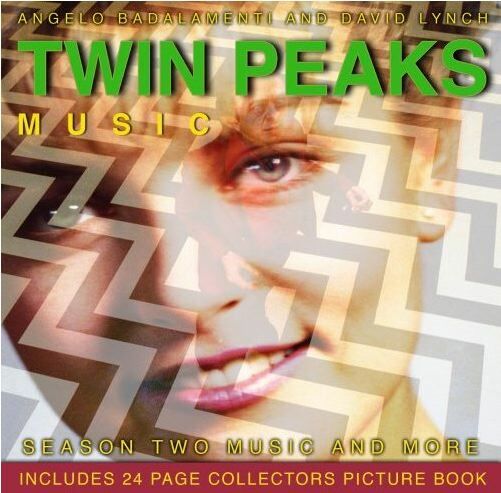 Angelo Badalamenti, "Twin Peaks Season Two And More"
Angelo Badalamenti is one of film and television's greatest composers, and his association with David Lynch over the past two decades has yielded some of the most haunting, beautiful, dark and unsettling soundtrack music ever produced. Of all these collaborations, arguably the finest is Badalamenti's music for the cult TV show Twin Peaks, and this disc finally collects all of the great music inexplicably left off of the heretofore released soundtracks for the series and its film prequel Fire Walk With Me. While back in San Francisco after a lengthy self-imposed European exile, Tuxedomoon recorded these spontaneous compositions for a film loosely based on Brion Gysin’s novel The Last Museum. The result is an inspired and tantalizing album that thrives independently of its designation as a soundtrack. Swans, "Soundtracks for the Blind"
I first heard Swans in 1997 when I bought Soundtracks for the Blind in a downtown Portland record store. 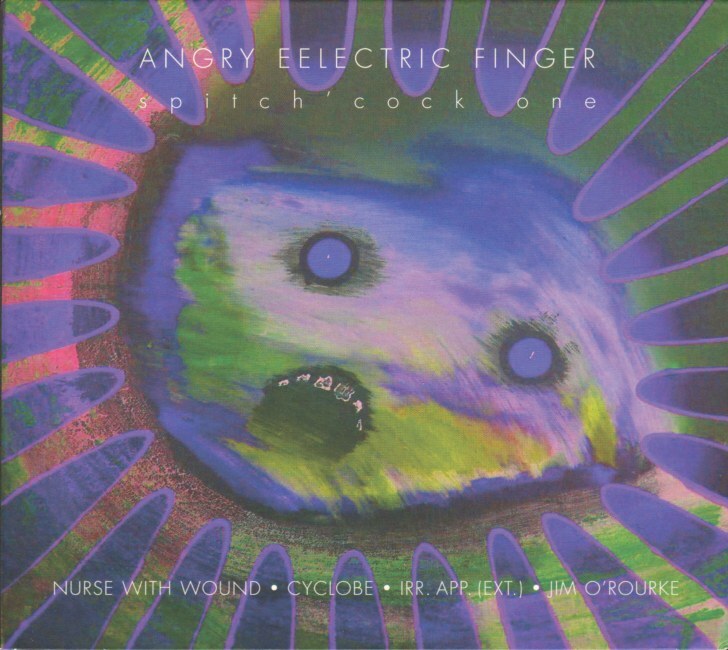 I picked the album on the strength of the title, but mostly because it was erroneously filed in the “Gothic” section. Immediately after buying it, I went with my father on a trip to Central Oregon. I vividly remember looking out at the blasted volcanic desert along Highway 97 to the accompaniment of the noxious, churning guitar noise of “The Sound”. At the time, I had no idea that Swans were breaking up or that they had been playing music for as long I had been alive. Matt and Bubba Kadane, "Hell House"
My one true test for any soundtrack or "music from" compilation is whether it can stand alone from the subject matter it was written for. Otherwise, it makes little sense to release it on its own, as the value of having "that music from that one scene" must be incredibly low. Enter the Kadane brothers' EP of music from the film Hell House, and for the most part they pass the test. Unfortunately, some of the tracks are just sketches — as they should be for a soundtrack — and do not blossom into full-fledged compositions. The man behind Slicker and Hefty Records steps out from his protective shell to produce one of the finest soundtracks I have personally heard in a while. Hughes has certainly expanded his range from what has been the electro punchiness of previous Slicker releases to a conceptual effort which encompasses various styles of retro-fitted pseudo-pop post-electronica jazz-influenced multi-instrumentalist filmscapes. After about four listens in a row, my only complaint is that it's TOO DAMNED SHORT! "Musique Concrète Soundtracks To Experimental Short Films 1956-1978"
In the 21st century, audio preservation and restoration will become a hot topic. I believe it's going to be a struggle as copyright owners (both private and corporate) will be the main factors of letting musical works die. I fear history will only be recorded for the most popular icons of the most popular western music genres. Thankfully, there's a small number out there who aren't willing to accept that. These first three CDs in this series exemplify what I consider 'guerilla preservation'. 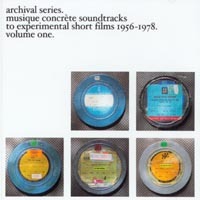 The music that appears on these compilations has been mastered from both 16mm prints and first-generation videotapes, illegally, with a host of mysterious credits. Although specifically composed to soundtrack a documentary about Colony Collapse Disorder called "The Vanishing of the Bees," The Effective Disconnect is not a dramatic departure from the sort of thing Brian McBride has always done extremely well: subtle and serene music with an undercurrent of sadness. As such, it basically feels more like a scaled-back follow-up to 2005's excellent When Detail Lost Its Freedom than an unrelated side-project. It's probably much too subtle to accomplish much in the way of garnering of new fans, but it is certainly a pleasant diversion for those of us converts waiting around for something more substantial to surface from the Stars of the Lid camp (like that damn feature film that seems to have disappeared). JG Thirlwell, "The Venture Bros: The Music of... Vol I"
Soundtrack music has always held its own odd space in the music world. Living in constant relation to the images it is meant to accompany, soundtrack music can (and has) made movies as well as destroyed them, as any Ennio Morricone fan can attest to. Yet the best soundtrack music has always been able to positively shape a film while still standing on its own as strictly a musical work removed from its image-based companion. It is, it seems, this trait alone that separates the comparatively schlocky Hollywood mood-manipulations of a John Williams score from the intrinsic depth and subtlety of form found in an Anton Karas, Carl Stalling, Nino Rota, or Bernard Hermann piece. JG Thirlwell (most know him as the man behind Foetus, Wiseblood, Steroid Maximus, etc.) proves himself more than an adept contributor to the genre. (Possibly) the final record by Broadcast featuring the late Trish Keenan, this is less of a proper follow-up to ...Investigate Witch Cults Of The Radio Age than it is a sparse collection of novelties and scraps assembled for the movie it was scoring. 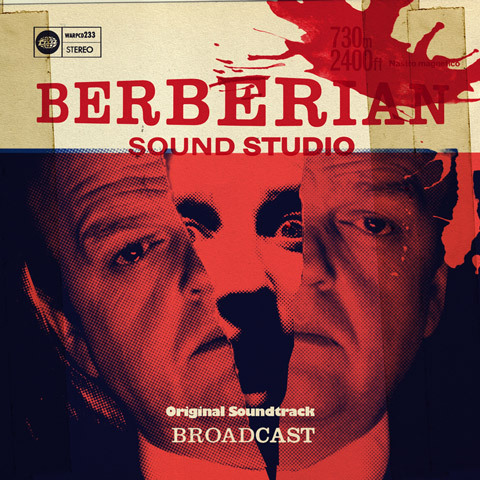 Berberian Sound Studio does tend to follow faithfully in the same path that Broadcast's previous records set out for them, namely the increasingly ambient moods which pulse throughout, but I can't help but feel longing for what could have been. 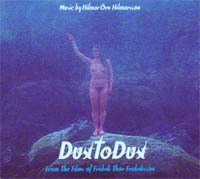 Hilmar Örn Hilmarsson, "Dust to Dust"
Five films by Fridrik Thor Fridriksson have music featured on this compact collection. While over the last few weeks I have been listening to more soundtracks than ever, I've been finding that listening to them straight through (for many) can be quite repetitious. Themes frequently get repeated ad nauseam with jumbled up arrangements between instruments, scatterings of 1-minute tracks seem rather incomplete, and there's always a sense of something 'missing' — but that's just the nature of the beast. A collection like this, however provides a ton of well-developed music, carefully collected and organized, and sparks an interest in the works of both HÖH and Fridriksson.